Introduction -- Out of the dark -- The Famous. 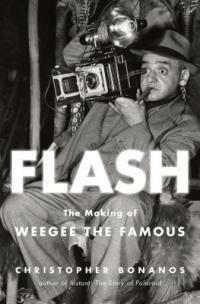 Arthur Fellig-- Weegee-- documented crime scenes better than any other photographer. While documenting the crime, grit, and complex humanity of midcentury New York City, he lived a life just as worthy as the scenes he captured. Bonanos provides a view of the man now regarded as an innovator and a pioneer, an artist as well as a newsman, whose photographs are among most powerful images of urban existence ever made. -- adapted from jacket. Photojournalists -- United States -- Biography.